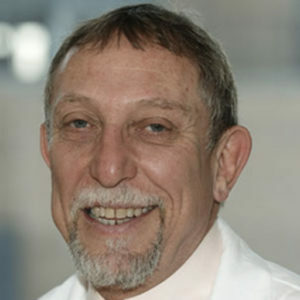 Alejandro Berenstein, MD, is the director of Beth Israel’s Hyman-Newman Institute for Neurology and Neurosurgery (INN) at Roosevelt hospital in New York City, a state-of-the-art facility for the diagnosis and treatment of neurological diseases. He is a pioneer in the field of Interventional Neuroradiology, a specialty that utilizes minimally invasive procedures to treat conditions related to the vascular system of the brain, head, face, spine and spinal cord. Dr. Berenstein created and developed the first Division of Interventional Neuroradiology (surgical neuroangiography) in the United States. The Hyman-Newman Institute for Neurology and Neurosurgery (INN) at Roosevelt hospital in New York City is a multidisciplinary center for the treatment of arteriovenous vascular malformations (AVM), brain aneurysms and tumors, birthmarks and other vascular abnormalities. A prolific and popular lecturer, he is also co-author of Surgical Neuroangiography, the five-volume definitive work on the field of interventional neuroradiology. During his career, he has written over 100 publications in peer reviewed journals, and has given over 600 presentations at national and international meetings. Dr. Berenstein holds patents on several devices used to treat these neurological conditions.